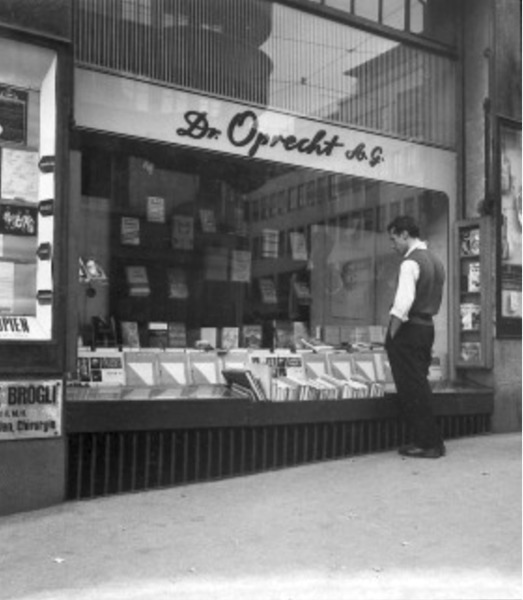 Oprecht & Helbling bookshop, which opened in Zurich, Switzerland, in 1925. Photo: Hauser & Wirth. After more than twenty-five years since it launched its publishing arm, Hauser & Wirth has announced that it will open a global headquarters and flagship bookshop in Zurich on June 8, marking a significant expansion for the organization. The new space will join Hauser & Wirth’s three galleries in Switzerland. Located at Rämistrasse 5, in the heart of Zurich’s cultural district, the headquarters will be housed in the site of the former bookshop Oprecht & Helbling, which opened in 1925, and Europa Verlag, which was founded by Emil and Emmie Oprecht in 1933. The headquarters will serve as a hub for research and scholarship and will function as the home of the international editorial team, which has been led by Michaela Unterdörfer, the gallery’s director of publications, since 2005. “At its core, our work is an inherently creative act that fosters new ideas and dialogues about art, and we envision this new space as an essential vehicle that advances that discourse,” Unterdörfer said. Hauser & Wirth will work with the Swiss design firm Dioma to revitalize the space. Founded by Marco Dionisio, the firm will preserve many of the building’s original architectural details, including a wooden staircase and a book elevator that operates on a manual pulley system. The opening of the headquarters and bookshop will take place during Zurich Art Weekendwhich occurs one week before Art Baseland will also celebrate the launch of its newest publication, Louise Bourgeois & Pablo Picasso.